Welcome back! Today I’m bringing in a splash of some summer colors. These soft pinks and lemon yellows just make me smile. These cards coordinate so beautifully with the cards I have been sharing previous days. 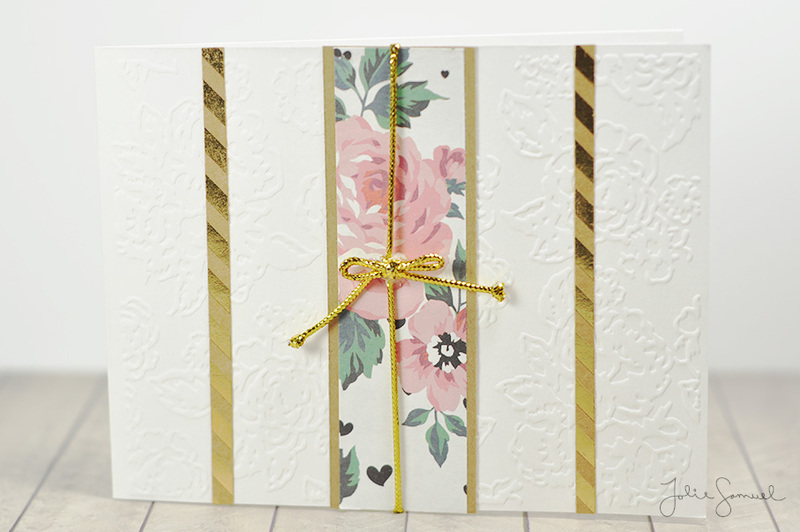 I don’t know what it is about these floral patterns, but I can’t seem to get enough! 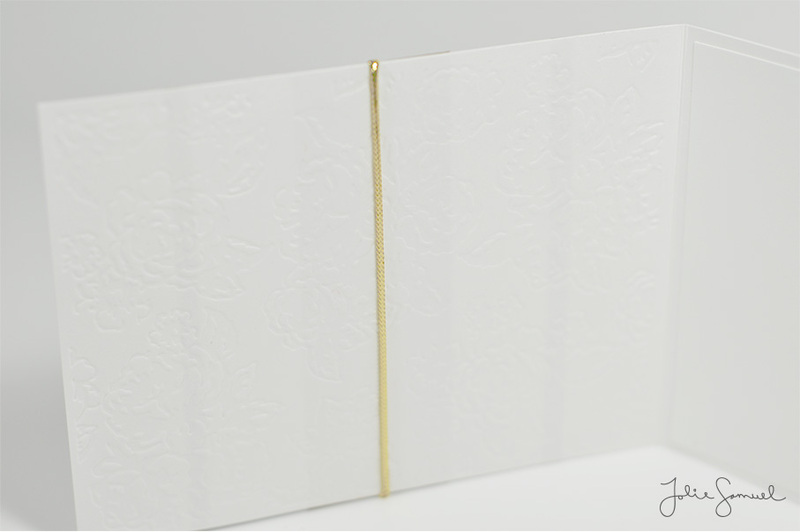 It’s all about the details with this card. 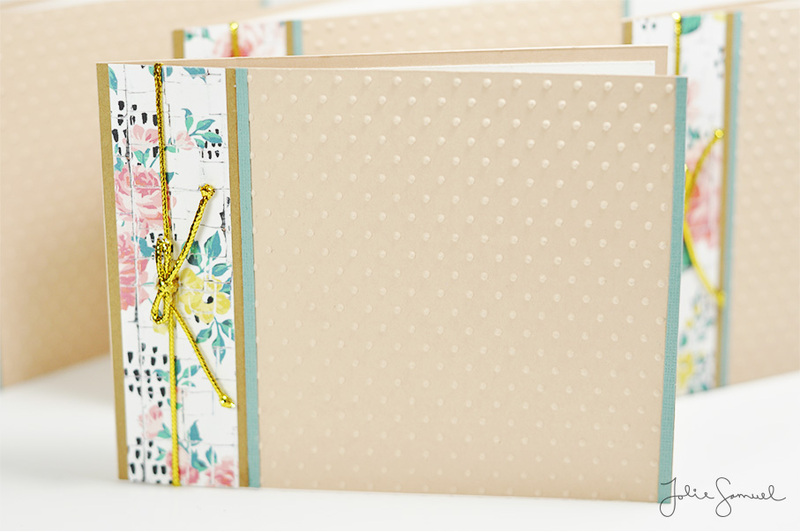 I choose to start it off with an embossed dot card base and some small strips of turquoise green and kraft brown to pull in some extra color. The pattern itself is so unique to me in that it has several ‘patches’ of black brush strokes – it’s quite stunning in person. 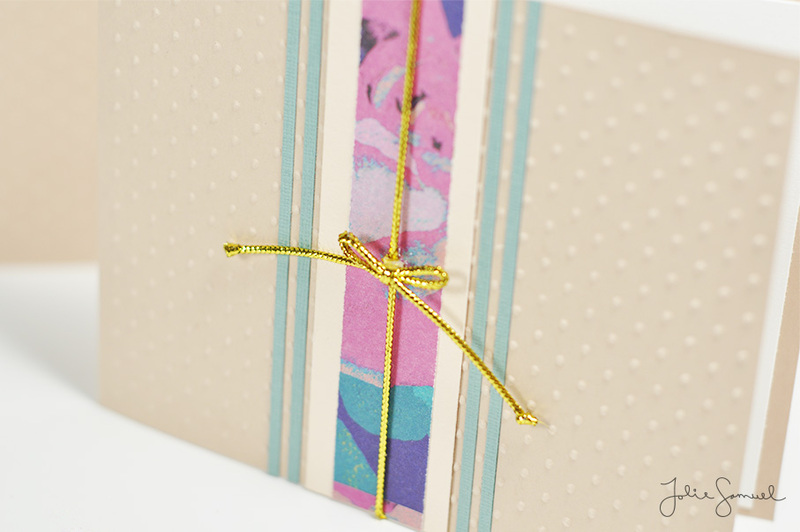 To finish off the card I added a gold cord and tied in a bow. 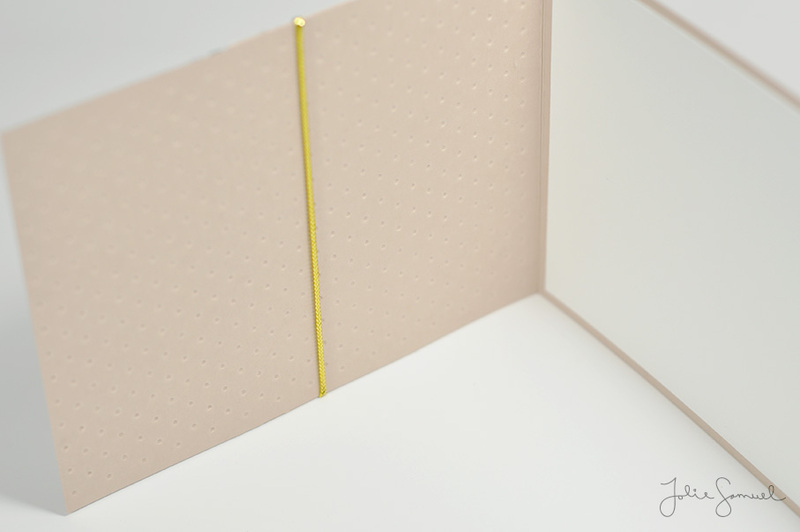 Here’s a look at the interior of the card as well. I love these clean and simple cards! They make great gifts for everyday events! Thanks so much for stopping by and I’ll see you again real soon with a new project. I’m making a switch up from the white cards to a something a bit more different today. 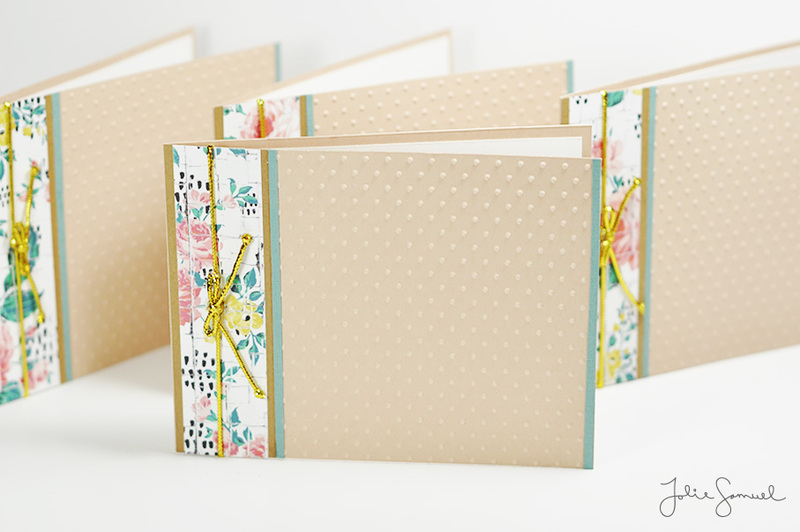 These card bases are embossed with tiny dots along the entire front. Truth be told, I struggled with the concept for this card for some time. I really loved the floral pattern, but I wanted to add some more color and didn’t quite know where to add them in. 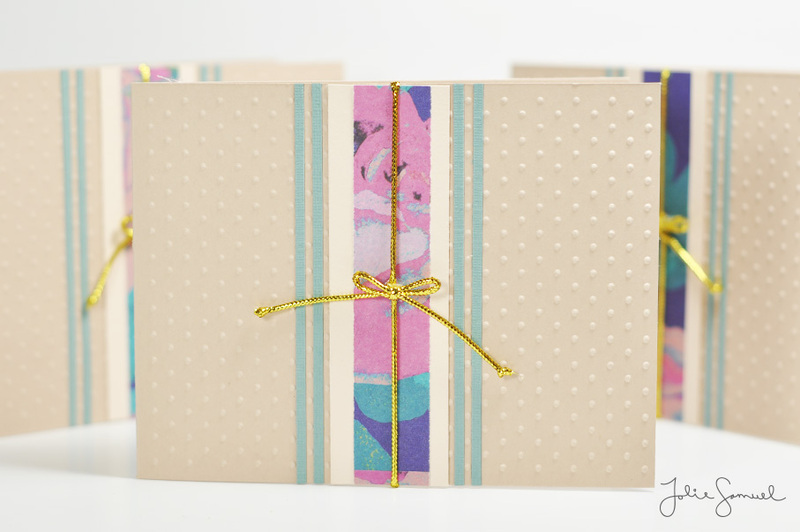 After a ton of brain storming, I decided to add in a textured light turquoise cardstock in small stripes. These stripes measure just about 1/8″. They coordinate perfectly with the small dot size of the embossed background. 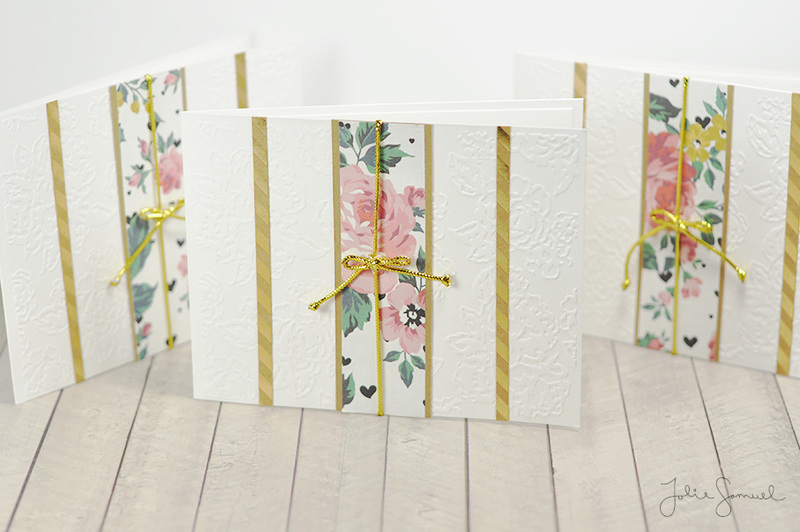 This card is so elegantly finished, that I feel it can fit several occasions like bridal showers, wedding, birthday, office note cards and so many more events. 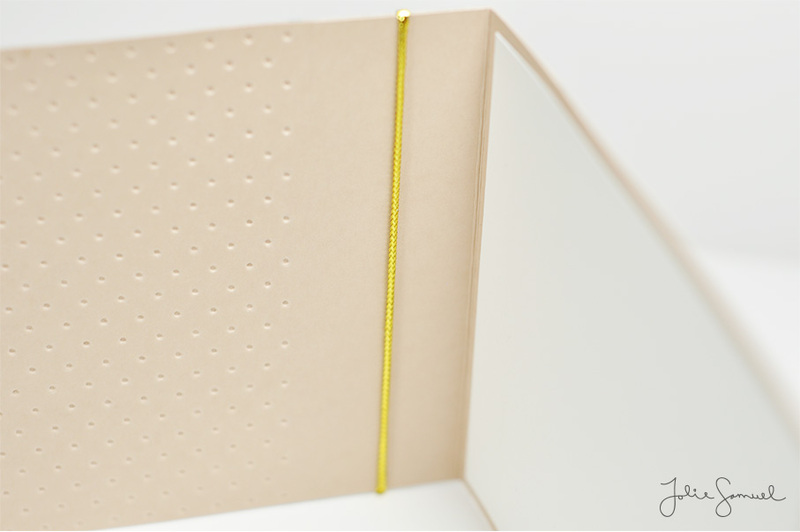 Here’s a look at the interior of the card. Just look at all those teeny tiny dots! Hope you enjoyed taking a look at this card and I hope to see you next time!